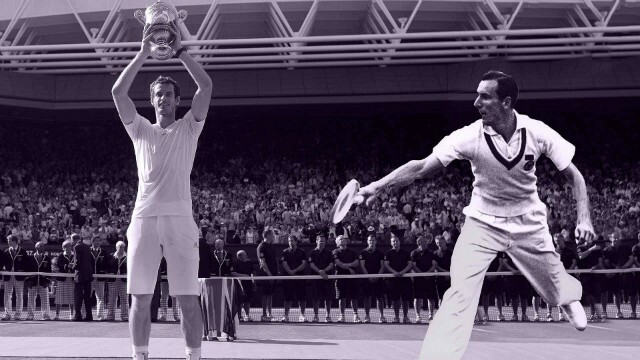 Andy Murray will attempt to win Wimbledon again, two years after his historic title of 2013. 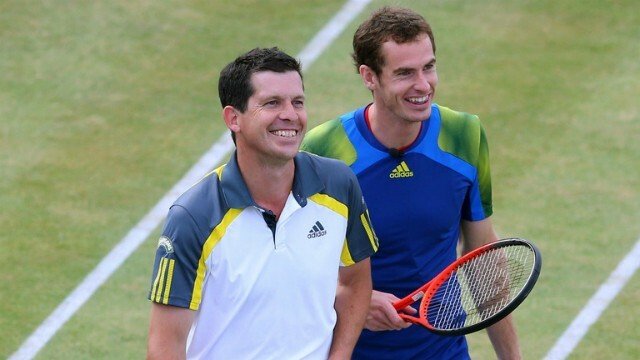 Former British No 1 Tim Henman talks about the game and personality of his successor. Q: Do you remember the first time you met Andy Murray? It was during a Davis Cup tie in 2004, we were playing against Luxembourg. He had a knee injury, but he was there as a drawer of water. He was only 16 years old but he looked and listened everything, he was very interested in what was happening in training. He immersed himself in the atmosphere. Q: And the first time you played him? It was in La Manga, Spain, where we were training before a Davis Cup tie. Even though he was still very young and we were playing at a different level than his own, he had time, he was not under pressure and we knew then that he was going to be really good. Q: You were one of his early role models, was he intimidated? He had seen me play a lot and he was probably surprised how relaxed I was and how I liked to have fun off the court. We got along well, we made jokes, we played backgammon during rain interruptions. We had many things in common, and especially we both knew he was about to take over as British number one. Q: He says you’ve been like a big brother for him, did you feel some kind of responsability towards him? It was not really a responsibility, but I liked him. I thought that with my experience there were some areas in which I could help. When I arrived on the circuit, I trained a lot with Jeremy Bates, who was British No 1 at the time. Just to see him and be around him helped me to break barriers, to be accepted on the circuit. We trained a bit together, we went out to dinner and we talked about many different things. Q: When you’re the British number one, you’re always on the spotlight. Which advice did you give him? It was more related to life on the circuit, how to handle different aspects such as the media, sponsors, practices. On this stuff, the ball was always in his camp. When you’re British No. 1, you’re always on the spotlight, a lot of people want to give their opinion. In fact, I did not want to give him more reviews. I just wanted to give him some advices only when he asked me to. Q: Do you remember the first official match you played against each other? He beat me, but it should have been much easier for him that day (smile). It was the first round of the Basel tournament in 2005. He ended up beating me 7-6 in the third set. It was the kind of player I did not like playing. When I gave him a possibility, he was very good to pass me or force me to make a low volley and then pick me on the second ball with a great lob. I still try to remind him that I beat him in the last game we played together in 2006 in Bangkok (smile). Q: How would you describe his personality? He has a very dry sense of humor. He is stubborn. And he is honest. Q: Like you before him, Andy has to face huge media and public pressure as British number one. Did you advise him on this subject too? When he was young and began to attract media attention, I told him not to read everything that was written in the press and focus on the work he has to do. And to be honest, he did not (laughs). For a long time, he read what people wrote about him and he was influenced by it. That’s not a problem when you are on the rise and they write nice things. But when things start to go wrong, there are criticisms and he was frustrated. Sometimes he probably tried to fight against that. But it’s a learning process. Today he is much more mature, he understands how things work, he has the experience and manages it all very well. Q: Why is it so hard to be the British No. 1? There’s sometimes a disproportionate amount of attention. As Wimbledon is the largest and the world’s best tournament there is a lot of interest in the sport in the country, but we have very few good players. That’s the advantage you have in France, there is more depth while here there is huge attention on one player. It was me during my career, and today it’s Andy. It takes time getting used to it. Q: How did it materialize at your time? I realized it soon enough. It’s probably when I was disqualified at Wimbledon in 1995. 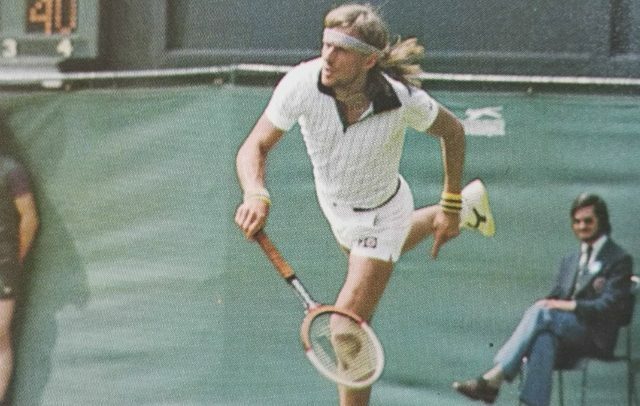 I was the first player in 125 years to be disqualified at Wimbledon. And it was a very fast learning. I got destroyed by the media and I realized that I needed to have good results to make sure that people would not remember me just for that. I also realized that I had to get control of things that I could control. And everything that was said in the press, on TV, I could not control it. I could not help it, and from that day I very rarely read the newspapers. He did not mean to lose four Grand Slam finals in a row, but when we look at it closer, he lost against Federer and Djokovic, two of the best players of all time. And this 28-day period between the final of Wimbledon 2012 where he lost against Federer and showed so much emotion and winning the London Olympics on the same court against the same opponent, it was a turning point in his relationship with the British public. They really understood what it meant to him and how hard he worked. Q: What was the role of Ivan Lendl to help him take that step? Ivan played a huge role in Andy’s development of Andy and his success, and I believe that the symmetry between their careers was incredible. Lendl lost four Grand Slam finals before winning one and Andy was in the same boat. 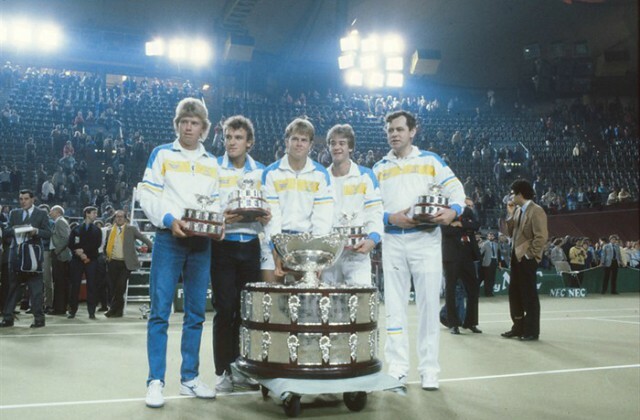 Lendl helped him keep believing he could win these big tournaments. 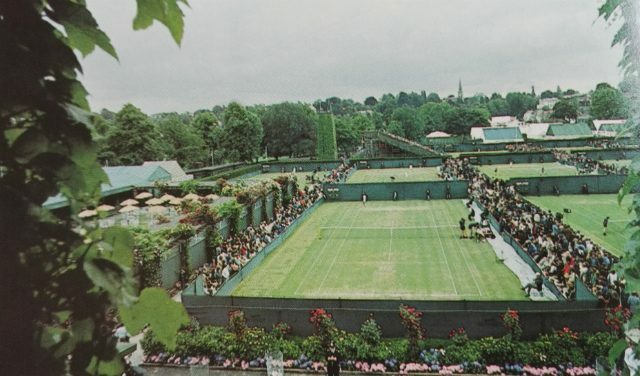 The expectation around the match was so huge, it was the seventh day of the seventh month, 77 years after Fred Perry last won… The excitement was huge and when the match took place, the seven first games lasted incredibly long time, in stifling heat. The first set was crucial. Andy never gave up, his tenacity and performance were absolutely incredible. Q: How did you feel during this famous last game, when he served for the match? Andy served from the side which was right outside our box. When he was 15-0, we said one done, just three more points, back to simple things. Then it was 30-0 and 40-0, he has three match points, it will be the right time! But this game kept going for another 10 or 12 minutes. The pressure, nervousness there was everywhere was unbearable. Q: Andy Murray has a very complete game. Which are his strengths in your opinion? He has many. His groundstrokes are fantastic. His athletic abilities are sometimes underestimated, the way he moves, his anticipation, the way he plays the game. I think the variety of his game is another strong point. He is able to change the pace a lot. He uses well his backhand slice. He is very comfortable at the net. His play at the net is underestimated. Above all, he is able to change the game in terms of style according to the situation and it is very rare. When you have only one style of play, it is easier to work on it and continue to improve your game, but it also makes you a bit limited. He has different aspects, more variety. It took him a little longer to understand his assets and use them, but nowadays we see the best of Andy Murray. Fortunately, he still has plenty of them. When he plays badly, his first serve percentage decreases and his second serve is a bit vulnerable. The service is a crucial aspect, and that’s something he’s working on a lot. From the baseline, when he dictates play and he is aggressive, that is where he is at his best. When he gets on the defensive, he reacts, steps back and his opponent dictates the game, he must run and is struggling. He must find the balance between attack and defense, and recently he has found it. Q: Does the Big Four still exist? For me, yes, no doubt. Federer, Nadal, Murray and Djokovic rankings inside the top 4 change, but when we look at how they dominated the biggest tournaments, all the Grand Slam semifinals they played, the number of Grand Slams and Masters 1000 won, they are still the players to beat. Djokovic is the head of this group today. Q: You were one of the last serve and volley players. What do you think about the state of net play in today’s tennis? There are no serve and volley players anymore, it’s sad but that’s the way the game has evolved. On hard courts, grass or indoor, the surfaces are slower, the conditions generally are slower. It is also about the way the players move. Returns of serve are better, faster and stronger, which reduce the opportunities to come to the net. If you come to the net today you must be even more effective than before. It is reflected in the way the players have changed at the junior level. Less coaches how to volley well. Many players today don’t have the correct grip position. Q: Can you give us your top 5 of best players at the net? Looking at the Top 100, I have trouble answering the question “who is the best volley player?” Some players volley quite well like Andy Murray, Feliciano Lopez and Radek Stepanek. But none of these players would be back in the Top 20 or Top 30 of best volley players some years ago. Will it come back? I doubt it. Tim Henman disqualified at Wimbledon and follow our Wimbledon coverage.